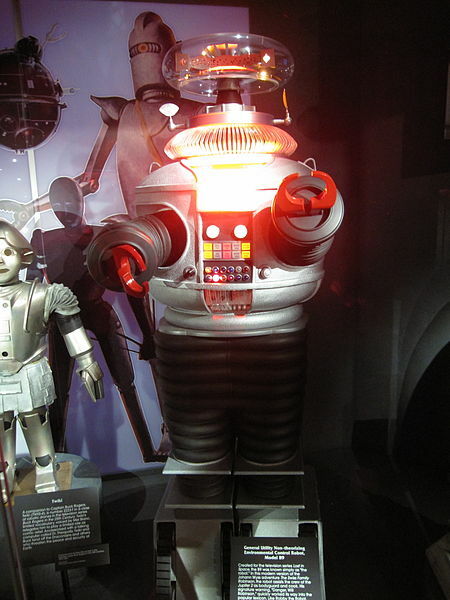 The one Halloween costume I can remember from my childhood was a robot. My mother made it for me out of ordinary houshold materials such as a large box painted silver for the body and a large tin can for the head. No, my head was not so small that it could fit in a tin can! Get that image out of your mind right now! There was a screen in the body through which I looked out. In fact, that was one of the costume’s best features: in it, I was at least a foot taller than my normal, shrimpy self. My teacher was so impressed with the costume that she paraded me down the hall and showed me to the principal. One of my proudest moments was when I was a robot. Although the costume was pretty lame by today’s standards, in the late 1960’s it was quite a hit. The same could be said of real robots. The ones on TV shows in that era were a hit, but they were just as lame by today’s standards as my costume. They weren’t good for much beyond saying, “Warning! Warning!” and “That does not compute.” In fact, the full name of the robot who uttered those words (pictured at left) was General Utility Non-theorizing Environmental Control Robot. Non-theorizing: it did not think. The question for us, almost 2 generations later, is whether our robots will ever get a fundamental upgrade. Will they ever learn to think? Actually, I’d like to recast that question. They can certainly think: robots (or computers — same difference) now hold world championships in chess and Jeopardy. What we really mean when we ask whether robots can think is whether they could ever gain consciousness, even in principle. Could an artificial intelligence like VIKI in I, Robot ever be built? And if it were, would it be truly conscious? 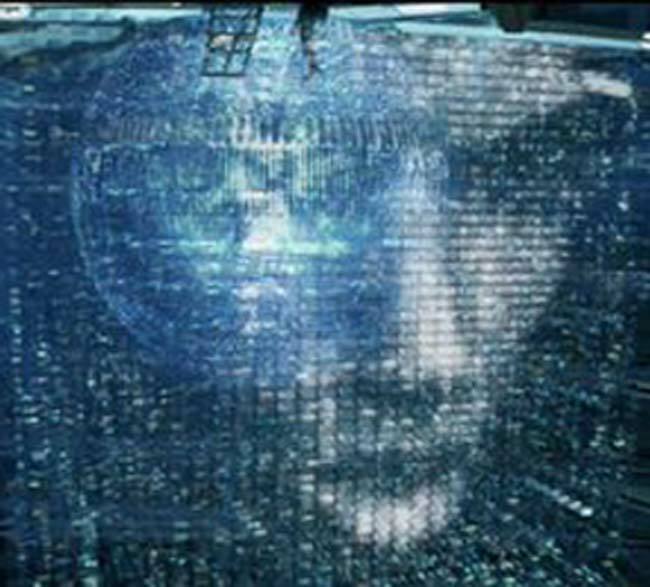 That is what I’ll explore in this series of posts: is artificial consciousness possible? As usual, it all comes down to definitions. The next several posts will consider what it means to be conscious. Then, I will conclude that artificial consciousness is indeed possible. Consciousness is a matter of degree. Awareness is thinking about thinking. The substrate for the symbols does not matter. If we accept a modest definition of consciousness (small degree, minimal attributes, specialized), it is already possible to create artificial consciousness. From that modest beginning, there is no reason in principle that artificial consciousness could not expand until it rivals our own in size, although the scope may differ. If my arguments are successful, consciousness may become less of a mystery, but more of a wonder. This entry was posted in Mind/Body and tagged Artificial Intelligence. Bookmark the permalink. Good to hear from you, Tom! How ironic that Glenn Beck was blaming the government for our obsession with Weiner’s wiener, when it was the media — of which he is literally a card-carrying member — that wouldn’t let the story go, even as many members of Congress were trying to persuade Weiner to resign so the story could go away. Yeah, a broken freethought switch seems like the correct diagnosis.